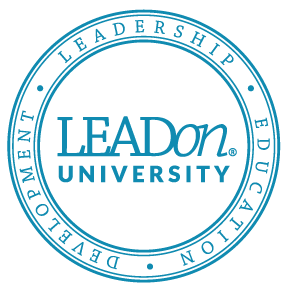 Founded in the 1990s, LEADon is a highly respected organization focusing on corporate performance enhancement through transformational leadership development. LEADon was founded by Drs. Steve and Rebecca Wilke in order to positively impact 21st century leaders who want to move themselves and their teams to even greater levels of success. LEADon is based in Southern California. The LEADon team includes professionals with expertise in Individual, Organizational and Systems Psychology, Psychological and Organizational Assessment, Educational Leadership, Business and Management, Law Enforcement, and Non-Profit Organizations. LEADon was founded by Steve Wilke, Ph.D., a leading expert in Leadership Development. LEADon’s approach starts with the Corporate Family® and emphasizes Corporate Culture along with Straight Line Strategies for success. LEADon’s approach is developmental vs. organizational. The result is a real, lasting transformational impact on individuals, which results in corporate performance enhancement. LEADon’s approach is custom: we identify our clients’ unique needs and focus on those needs with a custom-designed plan. LEADon’s approach adds an indispensable dimension to organizational success: Alignment (agreeing intellectually on issues) must coexist with Attunement (being emotionally committed to each other). LEADon’s approach focuses on the necessary balance between professional and personal lives. Successful leaders must have a healthy balance between the two. LEADon’s approach focuses on conflict resolution. The more success a leader experiences, the more conflict he or she will encounter. Our unique LEADing by Resolving Conflict helps to reduce conflict in the workplace and build a more cohesive team. Leadership development is a strategic process that occurs when you work consistently over a period of time. Our success at LEADon is in finding clients who understand that their success is enhanced when Corporate Family® leadership development is a central part of their business plan. Customizing a strategy with your specific objectives will yield measurable and sustainable results. LEADon will utilize individualized coaching, team building, assessments, and workshops to accomplish our common goals.